Chickenpox: I thought you knew! Something happens to you (or at least it happens to me) when you’ve been in health care for over 20 years. You sometimes assume that everybody knows at least the basics about certain illnesses. But every now and then, a situation arises that reminds you that everyone doesn’t necessarily know what you think they do. Turns out assumptions are almost never good! LOL! Do you have to pick your child up from school when they appear? What do you do if you think your child has them? How are they transmitted from person to person? Should someone with chickenpox be kept away from everyone else until they’re gone? Can a child who has received the varicella vaccine still get them? Although a common childhood illness, complications from chickenpox can be serious so prevention is important. Varicella (chickenpox) is now on the list of mandatory immunizations prior to the start of school. 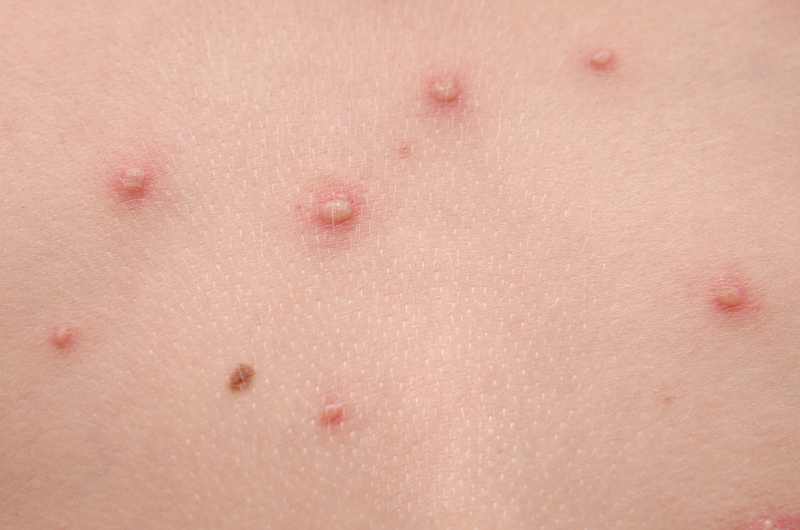 Chickenpox tends to appear in the community in the end of winter/spring seasons. They look like a small blister (until they’re picked, and they will likely be picked because they’re itchy – then they look like a small scab). Best to not judge a book by its cover because the first few chickenpox you see may have already been picked, so you may not actually see anything like a fluid-filled blister till day 2 or 3. If you suspect chickenpox, cut the child’s nails short so the bacteria and other junk under their nails doesn’t infect the blisters when they accidentally scratch in the night. If you think your child has them, call your health care provider and report them to your child’s school or child care setting. The most contagious period is the couple of days before the blisters appear – so, by the time you even see chickenpox, the proverbial horse is out of the barn as far as preventing the spread. The fluid within the blisters can also infect others, but again; exposure already happened days earlier. The virus is transmitted through the droplets in the air after an infected person coughs or sneezes. If caught, it’ll show up in the next person a couple weeks later and start out like a cold but with a fever. There is no need to exclude a child from school or any other activity due to chickenpox as long as the child is feeling well and able to participate. Now you know what I know. Bring on the vaccine! This entry was posted in Babies, Children & Tweens, Keeping Your Baby Safe, Keeping Your Child/Tween Safe, Keeping Your Teen Safe, Keeping Your Toddler & Preschooler Safe, Parenting, Parenting Your Toddler & Preschooler, Teens, Toddlers & Preschoolers and tagged chickenpox, chickenpox facts, chickenpox info for parents, chickenpox vaccine, I think my kid has chickenpox, my kid has chickenpox, Physical Health, school health, vaccine myths, varicella, varicella vaccine. Bookmark the permalink. 1 Response to Chickenpox: I thought you knew!